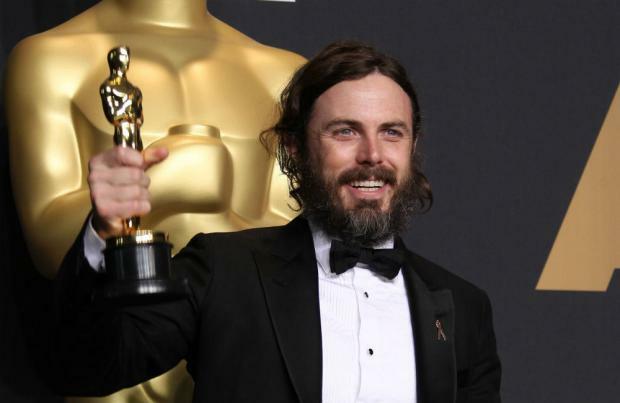 Casey Affleck says he was "naive" to think it would be easy to direct 'Light Of My Life' just because it was on a "smaller scale"
Casey Affleck was "naive" to think it would be easy to direct 'Light Of My Life'. The 43-year-old actor wrote, directed and starred in the drama film and admits he thought it wouldn't be too bad to take the helm of the movie because it was on a "smaller scale". He said: "I know. It is. I was naive enough to think that this would be easy because it was a smaller scale. It was hard but I would do it over and over again." And Casey would like to continue directing in the future but he also wants to act aswell. He added: "I would like to be able to tell stories that originate with me – that feel important to me, close to me. But acting is something I have done a long time and feel like I am starting to get good at, and it helps me stay sane, and it's how I pay bills and feed the kids and meet people and see new places, and I love it. And when I work with other directors, I learn a lot from them. So I would like to act some and try to tell a few stories of my own as well ... There are so many directors I admire and want to work for, and directors who I can learn from, and I want to continue to work with them." And Elisabeth Moss praised Affleck for being "extremely collaborative and generous". She told Deadline: "I'm a tremendous fan of his as an actor so it's really cool to be directed by someone like that because, basically, you just want to do whatever they tell you so you can try to be as good as they are. He was extremely collaborative and generous in letting me create the role, give any script notes or ideas, and really contribute to my part of the story. As an actor, it's so helpful to be a part of a process like that and to be able to really make something your own, which he gave to me as a director. There was a lot of trust because he knew the material so well and knew exactly what he wanted. I just followed his lead and tried to help tell his story."